The Pumphouse Brewery is a true Longmont local staple and the building itself boasts some historical significance for the area as well. Located at 504 Main Street, the Pumphouse building has served many functions over the years. In the early 1900’s, it was known as the William Lugg Building (named for a local prominent business man) and housed a garage and repair service. Over the years it changed hands a few times and was even once home to a roller skating rink called Fairyland in the late 1920’s. In the mid 1930’s the building became the home of Rankin Chevrolet-the largest dealership in a six-state region at the time. 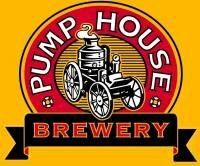 In 1995, the Pumphouse partners bought it from the then current owners (who were leasing it as a real estate and western apparel store) to create and independently owned, single-unit brewpub. With 20 years in business, the Pumphouse has had time to hone its craft of making delicious straight-forward beers and tasty brewpub food. You won’t find their beers in your local liquor store, nor will you typically fine them on tap in other restaurants or bars. Their focus remains on making small batches of great beer with a year-round offering of five beers and a seasonal rotation of up to eight beers. In 2004, the Pumphouse wonders expanded their restaurant next door and opened the Red Zone, a multi-screen sports bar with arcade games. Don’t miss your chance to hop off at this local favorite and grab a beer (or two). After all, it is the only place you can sample them.